The 2013 Toyota Prius Family! The automaker also has top models in three of the 10 categories on the best-value list. 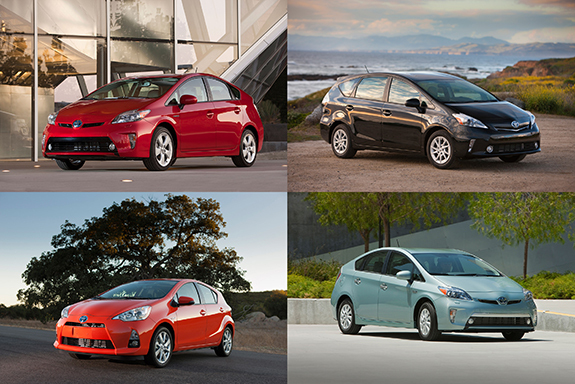 In addition to taking the top overall ranking, Prius took first place in the compact/subcompact category. The Avalon Hybrid Limited scored highest among large cars, and the ES 300h was top luxury car. Click here for further details on best value vehicles. Posted on December 19, 2013, in Automotive, Toyota and tagged Fuel-Economy, Koons, Koons Toyota, MPG, Toyota. Bookmark the permalink. Leave a comment.